Is sky diving a scary activity for you but still you wish to experience this thrilling sport, if yes then Dreamdays.ae The Gardens Dubai has arranged an interesting way to make this electrifying activity easy by arranging an indoor skydiving activity. Yes, the indoor skydiving is very much similar to the outdoor skydiving but the difference is that you will not have to jump from a plane. Regardless of age and gender anyone can take part and experience the thrill. While soaring in the air, you will surely have the best time of your life. From the height of 12 feet, you will be given a chance to see this unique art technology. 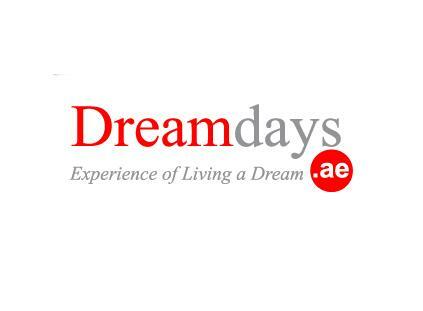 The indoor skydiving arranged by the Dreamdays.ae The Gardens Dubai will give you a lifetime experience. Your experience can also be recorded or the photos can also get printed in order to secure the unforgettable moments. Training sessions are also organized for those who are unaware of the diving techniques. A personal assistant will be there to assist you and keep you on the safe side. 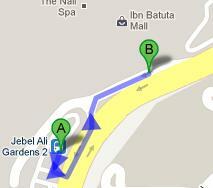 Jebel Ali Gardens 2 bus stop is 200 meters away from your destination. You will have to walk for 3 minutes in order to cover the required distance. The routes that make a stop here are F43 from Ibn Battuta Metro Station, 2 from Discovery Garden 16 from F44 Ibn Battuta Metro Station, 3 from Jebel Ali Gardens 12 and F53 from Ibn Battuta Metro Station 8. After getting off the bus, head towards the southwest direction, take a left turn when you have covered 23 meters. Cover further 17 meters and take another left turn. After taking the last slight left turn keep on marching until you reach at your destination. The pedestrian route can be seen in detail through the following Link.